The Sens are finally back in action this week after having a lengthy four day break. After going 1-1-1 on their Western Canadian road trip, Ottawa return home to face Nashville and St. Louis. How will the well-rested Sens fare against the Preds and Blues? Let’s find out! 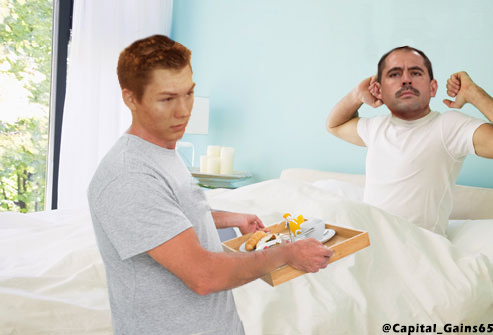 Phillips' cashed in his "Free Breakfast in Bed" card that Lazar gave as first month's rent. Nashville heads in to Ottawa having beaten the Maple Leafs 9-2 in their last outing. There is a rumour going around that a tribute video may be shown before the game along with a standing ovation, honouring the Predators for their accomplishments. Reports also indicate that Erik Karlsson will let Predators captain, Shea Weber, win the ceremonial faceoff. David Legwand will be dropping the puck. Is there anything Legwand can’t do? Curtis Lazar is out of the lineup tonight after sustaining an injury in practice. 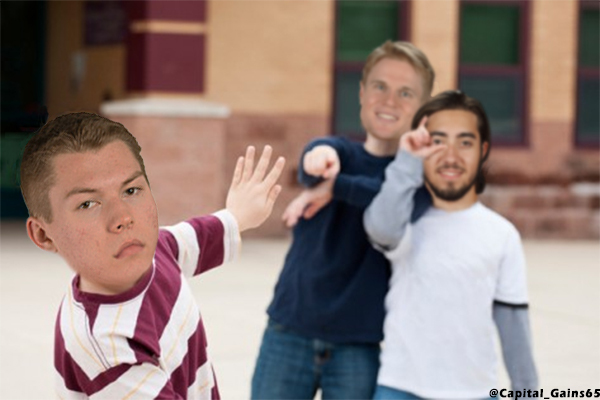 Who hurt Lazar is still yet to be determined, however, based on the expected lines for tonight’s game, the culprit list has been narrowed down to two suspects; Mika Zibanejad and Colin Greening. Ottawa's lineup was so brilliantly analyzed by James at Welcome To Your Karlsson Years that we dare not touch it anymore. We also dare not touch James, because I wouldn't be surprised if he vomited all over himself when writing that post. The Sens' first afternoon game of the season!!! St. Louis is off to a strong start to their season, sitting atop the Western Conference. With players like Maxim Lapierre, Carl Gunnarsson, Steve Ott and Brian Elliot, it's no surprise they're doing so well. Wait... what? The Blues have a different looking team since the Sens played them last year. No Halak, no Polak, no Roy and most importantly, no Chris Stewart (whom Bruce Garrioch assures us is coming to Ottawa any day now, as of March 2014). Instead, St. Louis has former Avalanche, Paul Stastny, former Leaf, Carl Gunnarsson, former not NHLer Jake Allen, and former person I didn't know existed, Jori Lehtera. Lehtera, Jaden Schwartz and that-guy-we-could-have-picked-in-the-first-round-but-instead-we-traded-for-David-Rundblad-whom-we-later-exchanged-for-Kyle-Turris-so-it-doesn't-seem-quite-as-bad-in-hindsight are currently one of the top lines in the league. Leht's hope the Sens' defensenko is able to stop this line from scoring on Saturday. Oh shoot, missed one, uh...Eugene Melnyk wears a t-schwirt and schwartz at Bert's Bart. Nailed it. Fancy stat of the week: Upwards of 200 cm of snow fell on Buffalo this week. Unfortunately, that’s not the type of CM Buffalo wants falling into its arms.